At Christmas time, all our across our city, the lights are switched on. Christmas lights twinkle on the Kalverstraat and illuminate Leidseplein. De Bijenkorf spills its light display onto the last minute shoppers and four kilometres of fairy lights wrap themselves around the 20-metre high Christmas tree on Dam Square. Each twinkling light is a tiny reminder, a faint echo of the ‘true light’ – Jesus. Each Christmas we celebrate this light. Our God who stepped down into our humanity to be with us. ‘Life was in him, and this life was the light of the human race’ (Gospel of John, chapter 1). 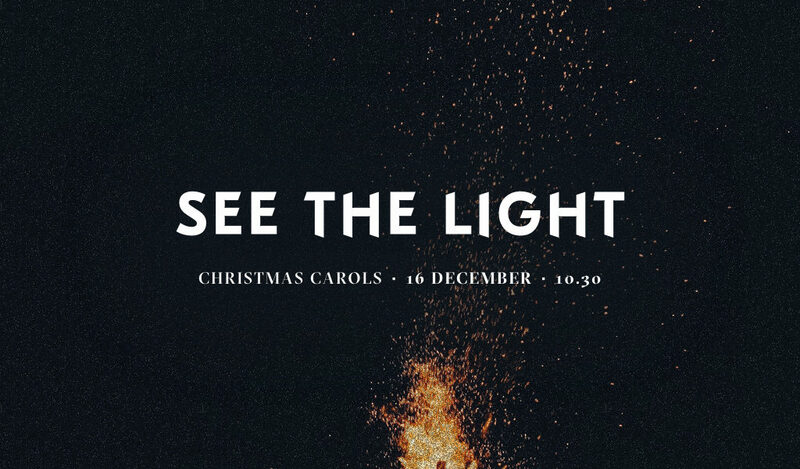 Come join us at 10.30am for our Christmas Carol Service on 16 December 2018. We’ll be celebrating in the Vondelkerk, Vondelstraat 120, 1054 GS. During the service we’ll be taking an offering for the work of Leger des Heils (the Salvation Army). Here in Amsterdam Leger des Heils have been serving the poor, lonely and destitute in our city for over 125 years. There will be a kids programme during the service for children aged 2-11 and a creche facility for 0-2 year olds. 23rd December – At 10.30am we’ll be gathering for our last service before Christmas in the Vondelkerk. 3oth December – We have no service together on December 30th. We’ll be back again in the New Year on the 6th January 2019.